This is my go-to recipe for a quick milk, a simple combination of filtered water, hemp seeds, and chia seeds. Hemp seeds do not contain phytic acid, are easily assimilate by the body, and do not need to be soaked for optimal digestion like other nuts, seeds, grains, and beans. Although you can make this recipe without the chia, including it lends a creamier, thicker consistency and better mouthfeel. 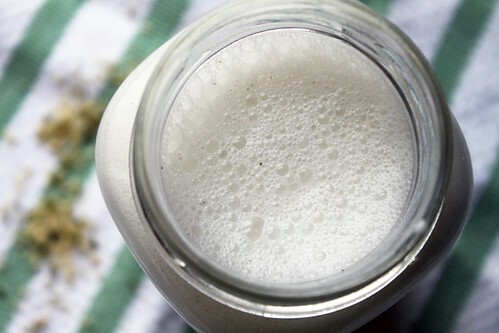 If you've never used hemp seeds, this milk is an easy way to start. Hemp seeds have an impressive nutritional profile, containing lots of protein, phosphorus, magnesium, zinc, and omega fatty acids. Additionally, hemp seeds are incredible source of amino acids, the building blocks of protein. 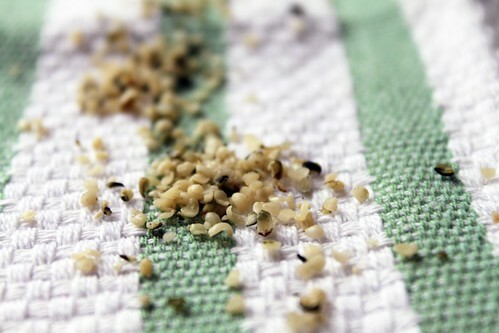 For more information about hemp seeds, I recommend reading this post by Food Renegade.